While Christmas is generally considered a time for celebrations, it can also be a prompt to remember people who live far away, and/or people that you have simply not seen for some time. I find it a very convenient time to reflect on friends, on our little piece of the world, and even the world in general. It also provides a wonderful opportunity to brush the cobwebs from my mind and contemplate the imminent New Year. This blog was only started in October 2014 but has already been a very rewarding experience due entirely to all of you as you have made many comments, and have frequently clicked the “Like” button. The comments have been particularly interesting, and much appreciated, because they have shown a considerable understanding of what Ray has gone through in order to reach the “place” he is at now. When I have been very happy with him, comments have been made which were basically congratulating Ray! Some of his idiosyncrasies have prompted “Yeh…… my dog does that!” kind of responses which is very reassuring as Ray is my first dog, and so there are many situations where I either assume that this is normal canine behaviour, or that this is Ray’s personality slowly coming out. Your feedback in this area is therefore always welcomed. It has also been really interesting to visit your blogs some of which naturally orient around dogs, but there are numerous others with a totally different focus and which are equally enjoyable. Most of this blog’s visitors are, not surprisingly, from Canada and the U.S. however, a number of other countries are also represented in the stats! The Internet really has shrunk the world to an accessible size which adds a whole new dimension to this kind of dialogue! It should perhaps be acknowledged that over the past 21 months (we adopted Ray in March 2013) we have received continual and quite amazing support and guidance from the Oakville & Milton Humane Society, a level of service which could not be offered by a pet store, nor probably by the majority of dog breeders. For those of you that promote the “adopt don’t shop” message, Ray and I support you 110%! Why anyone would not adopt a dog (or other pet) from a Humane Society or other Rescue operation is difficult for me to understand. 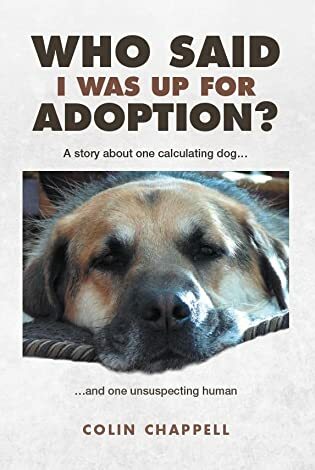 In addition to the OMHS, I have leaned heavily on books by Patricia McConnell, and also by Pat Miller, and must therefore stress that while I would like to think that I now know a little about dogs, absolutely none of it was intuitive! Ray has been a real education in so many ways and I have every expectation that this will continue! My sincere thanks are offered to all of you, and please allow me to wish you the very best of whatever is important to you in the New Year. I have every intention of continuing with stories about Ray as they not only give a glimpse of his “new life” as he integrates into our society, but also offer an insight into my challenges with him. If Ray could understand this blog, I know that he would be quite touched by the interest that you have all shown in him. Woof!